We at PARCO are to constantly work to strengthen our system of corporate governance, recognizing that in order to enhance corporate value, we must: protect the rights and interests of our shareholders, build smooth relationships with stakeholders other than shareholders, preserve transparency in management, and establish an effective management oversight structure. Our corporate governance system is to be characterized by a clear distinction between supervision and execution. Here, to assure a high degree of transparency in corporate governance while facilitating decisionmaking and execution, we adopt a corporate managerial structure that includes a Nominating Committee and other such entities. We at PARCO established Fundamental Policy for Corporate Governance in 2016. This policy formulates our basic way of thinking with regards to corporate governance. That is, it sets down how PARCO believes corporate governance should best be applied to achieve continual growth and a medium-to-long-term enhancement of corporate value under the PARCO Corporate Mission, which calls for the creation and provision of value in a manner that satisfies our customers, tenants, shareholders, and other stakeholders. The Board of Directors is to strive for a sustained increase in corporate value. To this end and under a full realization of its fiduciary and explanatory duties to shareholders, the Board is to determine a strategic direction for the company, provide an environment conducive to risk management and, in collaboration with the Nominating Committee, the Audit Committee and the Compensation Committee, assure a high degree of supervision over Directors and Executive Officers. The Board of Directors is to be comprised of a variety of individuals with differing backgrounds, including area of expertise and experience, based on selection criteria formulated by the Nominating Committee. At least half of the members are to be External Directors, and the total number of members is to be maintained at a level that provides an optimal level of efficiency and effectiveness. Selection criteria is disclosed at Fundamental Policy for Corporate Governance. PARCO has adopted the “Company with three Committees” system and has established a Nominating Committee, an Audit Committee and a Compensation Committee, all of which contain company Directors. The Committees are to supervise managerial activities within their respective areas of responsibility and to report accordingly to the Board of Directors. Also, to help invigorate their activities, we have installed a Committees Secretariat, which is independent of the management team and staffed by employees assigned solely to it. The Nominating Committee is to determine the content of proposals to be submitted at the General Meeting of Shareholders regarding the appointment or dismissal of Directors. It also nominates candidates for Representative Executive Officer and Executive Officers to the Board of Directors; and can recommend their removal. The Committee is to be comprised of at least three Directors, a majority of whom must be External Directors. The Audit Committee monitors the execution of duties by Directors and Executive Officers, and has determines the content of proposals on the election and dismissal or non-reappointment of the auditor, which are submitted at the General Meeting of Shareholders. The Committee is comprised of at least three Directors, all of whom, in principle, must be External Directors. The Compensation Committee determines the compensation of individual Directors and Executive Officers. The Committee is to be comprised of at least three Directors, a majority of whom must be External Directors. Executive Officers are to execute specific duties based on the fundamental policy determined by the Board of Directors. The Management Committee is to serve as a deliberative body to support concrete operational decision-making by the President and Representative Executive Officer. In the interests of auditing effectiveness, the Audit Committee is to verify the reputation of the External Accounting Auditor, as well as their independence and specialized knowledge. The External Accounting Auditor is expected to maintain communications with the President and Representative Executive Officer and discuss the handling of matters such as improprieties and errors in collaboration with the Audit Committee. The Audit Committee consists of four members, all of whom are external directors (independent directors). The Audit Committee is tasked with monitoring and inspecting the development and operational status of the Company’s system of internal controls to ensure corporate soundness and sustainable growth, and to establish a quality corporate governance structure that earns public trust. In so doing, the Audit Committee strives to maintain a system that ensures audit effectiveness. 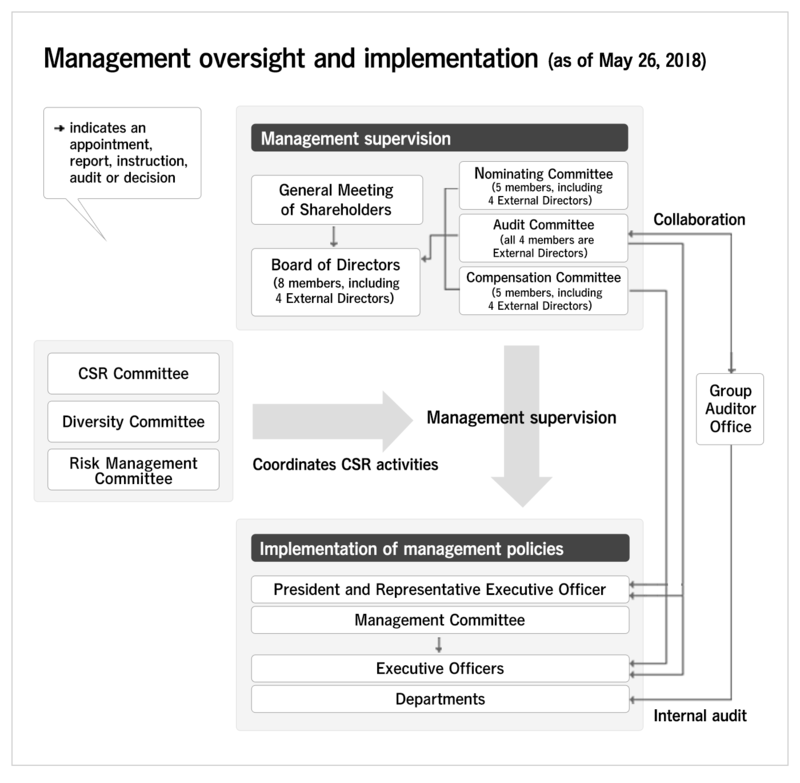 The Audit Committee audits the actions of executive officers and others in the conscientious, faithful and legally prescribed performance of their duties by receiving reports from the Group Auditor Office, the Independent Auditor, and the external auditors of Group companies, requesting reports from relevant executive officers, and attending weekly meetings of the Management Committee, among other actions. Through coordination with the Group Auditor Office, the department responsible for internal audits, the Audit Committee not only audits the reliability of our financial reporting and appropriateness of business execution as a corporate group, but strives to propose improvements essential for realizing growth in corporate value through the kind of proactive governance targeted in Japan’s Corporate Governance Code. The five-person Nominating Committee consists of four external directors (all independent directors) and the President and Representative Executive Officer. The Nominating Committee is responsible for two key tasks—drafting, as required by law, agenda items for submission to the General Meeting of Shareholders regarding the election or termination of directors; and the proposal, pursuant to Company regulations, of recommendations regarding candidates for, or the termination of, the posts of executive officer and Representative Executive Officer. 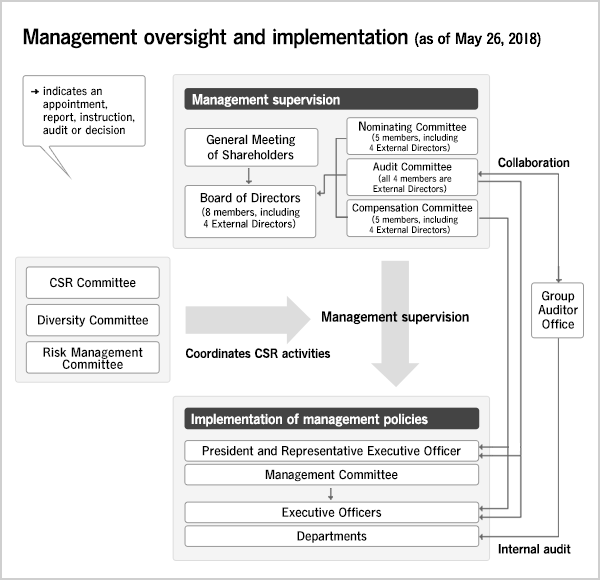 Japan’s Corporate Governance Code was formulated three years ago and corporate governance in the country has undergone a major transformation in the time since. With companies adopting various governance formats, there has been an increase in companies establishing a nominating committee, some on a voluntary basis. The importance of nominating committees, which evaluate representative executive officers and nominate their successors, is being progressively recognized. PARCO works to operate its Nominating Committee in a manner that contributes to the creation of shareholder value from a long-term standpoint. The five-person Compensation Committee consists of four external directors (all independent directors) and the President and Representative Executive Officer. The Compensation Committee is tasked with determining compensation for individual directors and executive officers. Under this remit, the Compensation Committee, in accordance with its compensation policies and set regulations and criteria, determines compensation for directors based on the director’s specific role, and for executive officers based on rank, role, and an evaluation of corporate performance and individual duty performance. PARCO recognizes the importance of preserving objectivity and transparency in the decision-making process regarding compensation. Through fair and open decision-making guided by predetermined regulations regarding annual base salary and evaluation rules, we hope to fulfill our obligation to explain our actions to shareholders and other stakeholders, while contributing to improvements in corporate value. Our company will work to increase corporate value by establishing a system to assure the suitability of our company and group's operations regarding factors such as the efficiency and effectiveness of these operations, the credibility of our financial reports, the legal compliance of our business activities, and preservation of company assets. We are to work to provide a cross-organizational risk management system centered on our Risk Management Committee that, in addition to identifying and assessing the risks entailed by corporate activities, taking countermeasures against them and heightening our internal awareness of them, is capable of a swift response to risk-related occurrences through emergency action including taskforce deployment and information management. We are to advance an internal awareness program through methods such as issuing a PARCO Employee Handbook to all Officers and employees, in addition to formulating Basic Principles of Compliance and a Code of Conduct, to which all employees are expected to adhere. Also, we have set up a group-wide internal reporting system utilizing a third-party contact to encourage the reporting of infractions or other improper activities and to facilitate corrective responses to same. To reinforce the internal auditing capabilities of our group, we have established a Group Auditor Office which audits the legality, economic rationality, and risk exposure of the group as a whole, based on audit plans and under the direction of a Director assigned solely to this task. We also strive to improve audit efficiency through the timely exchange of auditing information with the Audit Committee and auditors at group subsidiaries. Ensuring shareholder rights, equality, etc. PARCO believes that in order to continually increase corporate value, it is imperative to protect the rights and interests of shareholders, including minority shareholders. Therefore we strive to protect those rights, to assure an environment in which shareholders can exercise their rights at the General Meeting of Shareholders, and to monitor any actions that harbor the risk of damaging shareholder rights, including related-party transactions and changes to capital policy. In order to support efforts to build smooth relationships with stakeholders beyond our shareholders, we have created a Corporate Mission and a Code of Conduct and are taking measures to strengthen compliance management and promote diversity, including encouraging the active involvement of women within the organization. We have established a CSR Committee to promote CSR activities within the PARCO Group and strengthen internal controls. The Committee will set PARCO Group policies for CSR activities, create action plans, support external publicity efforts, promote internal information sharing, and cooperate with external companies and organizations. Committee activities are to span the organization, with related efforts covering everything from discussion sessions with PARCO Group Presidents and Executive Officers, to group-wide collaboration drawing together the Diversity Committee, Risk Management Committee, group companies, and PARCO internal departments. We have installed a Diversity Committee to promote diversity initiatives across the company. The Committee will carry out initiatives aimed at cultivating a corporate culture characterized by tolerance and openness to new ideas, in which people of diverse views, talents, capabilities, and cultures can work to their full potential. We regard ensuring the active involvement of women within the organization as an important issue and strive to assure full female representation in our selection of leaders and managerial candidates. The Committee will promote other cross-organization initiatives including discussion sessions with PARCO Group Presidents and Executive Officers, and collaboration among group companies and PARCO internal departments. In order to strengthen our compliance management, we have installed an internal reporting system that provides mechanisms for handling reports of infractions and other behavior that runs counter to laws, regulations or the like. The system includes the utilization of a third-party liaison to receive such information and measures to ensure that it is properly handled. One feature is that persons providing information, or persons cooperating with a subsequent investigation, are not to be dismissed or suffer other negative consequences as a result. PARCO has created its own standards for determining the independence of External Directors, based on the independence standards of the Tokyo Stock Exchange and the Japan Association of Corporate Directors, which is set forth in the Fundamental Policy on Corporate Governance. In order to ensure that transactions entered into with related parties are appropriate, PARCO conducts a survey of all officers of PARCO and its subsidiaries regarding whether they have engaged in related party transactions, and on the basis of this submits to the Board of Directors a report on transactions between PARCO and its officers and major shareholders. Any transaction between PARCO and a Director or Executive Officer that gives rise to a conflict of interest is subject to approval by the Board of Directors based on the relevant laws and PARCO’s regulations for Directors. PARCO perform an assessment of the effectiveness of all Directors in the interests of improving the effectiveness of the Board of Directors. The evaluation process, evaluation focus, the findings and the resulting improvements are disclosed below. The Committees Secretariat and Board Secretariat (Corporate Planning Office) conducted surveys and interviews with each individual Director concerning their assessment of the effectiveness of the Board of Directors. The evaluation covered the makeup of the Board of Directors, the quality of debate, agenda items, and management and support arrangements. Feedback on the current situation and progress on improvements from the previous year’s evaluations was compiled to inform how the Board of Directors could be made more effective in future. Evaluations were performed in FY2015 and FY2016, but as FY2017 was the first year of the new Medium-term Business Plan, strategic measures focused on core businesses were implemented, the starting period of Board of Directors meeting was accelerated to ensure that more substantive debate could take place, and plans were implemented to provide additional information to Directors and to strengthen communication with the execution side. As a result, the FY2017 evaluation showed trends of overall improvement. Assessments were made by each Director based on standardized evaluation criteria, and as a Company with Committees, there has been a noticeable a rise in the effectiveness of the Board of Directors. 1. Improving substantive debate about high priority strategic issues, such as management strategy, financial policy, etc. 2. Improving project planning and making progress on the implementation of the above-mentioned debate. 3. Ensuring opportunities for bilateral communication between Directors and the execution side, and further improving Directors’ understanding of the company. We conduct an evaluation of the effectiveness of the Board of Directors on an annual basis, believing that by repeating the process of evaluation, analysis, debate, and improvement, the Board of Directors will change, leading to increased effectiveness. All newly-appointed Executive Officers, including Internal Directors, are briefed on the roles, obligations and responsibilities of Directors and Executive Officers, the nature of their agreement with PARCO, and related regulations. Compliance training is offered after appointment. Upon joining the Board, External Directors are also given an overview of the company and briefed on its management philosophy, business situation, corporate governance matters and related regulations. Ongoing briefing on PARCO’s business operations, trends in the retail sector, and the business environment in which we are placed is also provided to these External Directors after appointment, along with opportunities to visit stores, in the interest of giving them a better understanding of our company. PARCO ensures that more than half of its Directors are External Directors. By serving on the Board of Directors and Executive Committees, these External Directors work to improve the effectiveness of internal controls by overseeing the execution of duties by Executive Officers and the like. 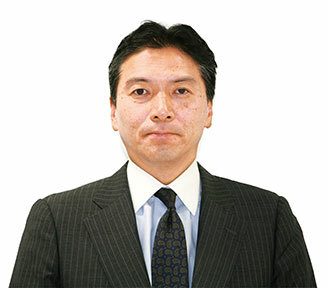 After serving for many years in the Store Management Operation Divisions, Mr. Makiyama was appointed President and Representative Executive Officer in May 2011. Through his years of service, he has amassed a wealth of experience that broadly covers PARCO’s business operations. As a PARCO Director, he has been actively contributing to discussion and deliberation at Board meetings since May 2008 and he was appointed to supervise operations and provide management oversight based on his experience and track record to date. After serving for many years in the Store Management and Corporate Operations Divisions, Mr. Hirano was appointed President and Representative Executive Officer in March 2008, and has served as a Senior Executive Officer since May 2011. Through his years of service, he has amassed a wealth of experience that broadly covers PARCO’s business operations. As a PARCO Director, he has been actively contributing to discussion and deliberation at Board meetings since May 2008 and he was appointed to supervise operations and provide management oversight based on his experience and track record to date. Serving as the Representative Director and Senior Managing Executive Officer of J. Front Retailing, Mr. Kobayashi possesses a strong track record and a wealth of experience and insight regarding both management and the retail industry. He was appointed as a Director in order to utilize his business management experience to provide valuable advice that will enable PARCO Executive Officers to execute their duties in an effective and appropriate manner. Serving as the Director and Managing Executive Officer of Daimaru Matsuzakaya Department Stores Co. Ltd., Mr. Sawada possesses a strong track record and a wealth of experience and insight regarding both management and the retail industry. We are confident that as a PARCO Director, Mr. Sawada will utilize his business management experience to provide valuable advice that will enable PARCO Executive Officers to execute their duties in an effective and appropriate manner. Each of the External Directors was designated as an independent officer because he is in a position to oversee the management of the business and possesses an adequate degree of independence. Mr. Takahashi is a certified public accountant (formerly a Senior Partner at Ernst and Young ShinNihon LLC), and a Representative Director of Pronet Inc. PARCO appointed Mr. Takahashi as an External Director on the expectation that he can perform the function of business oversight and checking on the basis of the specialized knowledge, experience, and judgement regarding finance and accounting he has gained over the course of his career. Attended 13 of 14 Board meetings and all 13 Audit Committee meetings held this fiscal year and provided his specialist perspective as a certified public accountant when needed. Mr. Ito is a professor at Hitotsubashi University's Graduate School of Business Administration. 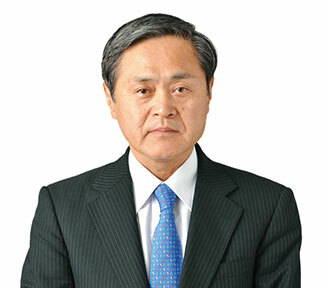 PARCO appointed Mr. Ito as an External Director on the expectation that he can perform the function of business oversight and checking on the basis of the knowledge, experience and judgement he has gained over the course of his extensive career, and his experience working both within Japan and overseas. Attended 11 of 14 Board meetings and 11 of 13 Audit Committee meetings held this fiscal year and provided advice when needed based on a professional point of view as a scholar. CEO of Poppins Holdings and the Representative Director and Chairman of Poppins Corporation, and is a member of the Nikkei’s Management Advisory Board. 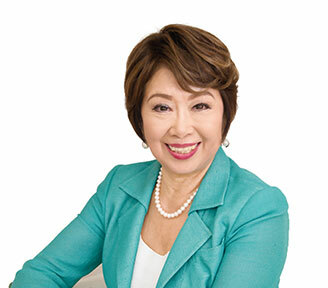 PARCO appointed Ms. Nakamura as an External Director on the expectation that she can perform the function of business oversight and checking on the basis of her knowledge of management, and the experience and judgement from a global perspective gained over the course of her career. Attended 13 of the 14 Board meetings and 11 of 13 Audit Committee meetings held this fiscal year and Provided her perspective as a vastly experienced business manager when needed. Mr. Seki was involved in the management of Itochu Corporation for many years. PARCO appointed Mr. Seki as an External Director on the expectation that he can perform the function of business oversight and checking on the basis of the knowledge, experience, and global perspective he has gained over the course of his career. Attended all 14 Board meetings and all 13 Audit Committee meetings held this fiscal year and adviced baced on his perspective as a vastly experienced business manager when needed, and global knowledge and experience. Under our Nominating Committee managerial structure, a Compensation Committee is to set standards for compensation and determine the compensation of individual Directors and Executive Officers in a fair and impartial manner based on assessment of roles, responsibilities and work results. 1. While PARCO officially abolished its retirement bonus system at the end of FY 2004, the payment of retirement bonuses was recorded for Directors and Executive Officers serving prior to this period, and was scheduled to be provided at the time of their retirement. As of the end of FY 2017, unpaid retirement bonuses totaled 5 million yen for Directors and 2 million yen for Executive Officers. 2. The number of Officers as of the end of the current fiscal year are as follows４Directors (excluding External Directors), ４ External Directors, and 16 Executive Officers, with 2 of the aforementioned serving concurrent roles as both Directors and Executive Officers. Director annual salary will take the form of fixed compensation which, depending on role, will comprise a basic annual salary, a Committee chairman annual salary and/or a Committee member annual salary. Executive Officer annual salary will take the form of fixed compensation which, depending on role/position, will comprise of a basic annual salary, performance pay (based on company performance and personal performance) and stock compensation from a stock issuance trust. The ratio of Executive Officer basic annual salary, performance pay (standard), and stock compensation is to be based on roles and responsibilities at 40%～50% : 30% (equivalent value) : 20％～30% (equivalent value). Executive Officer basic annual salary is to be based on that person's role/position for the current term. Executive Officer performance reward is to be determined by distributing a payment pool, linked to company earnings for the previous term, among Directors based on personal performance (0-200% allocation ratio). Executive Officer stock compensation is to be based on that person's role/position for the current term. PARCO does not generally maintain policy shareholdings, except in cases where it has judged that doing so will help to enhance the value of the company in the mid-to long-term as a result of the maintenance and strengthening of trading relationships and the maintenance and development of business alliances. Voting rights are exercised appropriately, and on the basis of an overall assessment of whether or not the vote in question will contribute to the value of PARCO or the companies in which it invests. 2. PARCO does not maintain any equity holdings solely for the purpose of portfolio investment.